Unorganised Chaos: I'm still standing! I'm very behind with my blog posts, sorry guys! We've had a really hectic few days for numerous reasons but we are all doing well. We had a particularly horrible experience visiting Koh Rong so have spent the last 24 hours or so in Sihanoukville. Tomorrow we catch our 12 hour bus to Ho Chi Minh City and are all excited for a new adventure in Vietnam. I promise this week I will get back on track and tell you the rest of our adventures from Siem Reap, Phnom Penh and a little of Koh Rong and Sihanoukville. 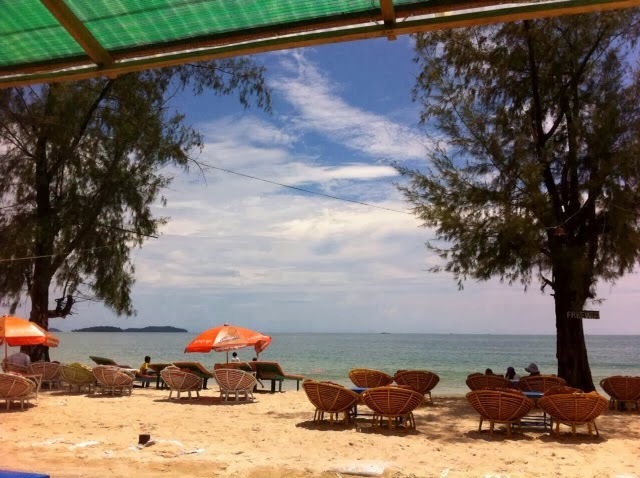 This has been today's distraction; Serendipity Beach, Sihanoukville. It's been lovely, and completely needed, for us to sunbathe, clear our heads and relax...as was the full body massage I had this evening!